England Furniture Reviews Guide - "Delivery in 3 Weeks or Less!" / England Furniture Reviews – Delivery in 3 Weeks or Less! England Furniture Reviews – Delivery in 3 Weeks or Less! Since 1964 England Furniture have been crafting furniture that was built to last. 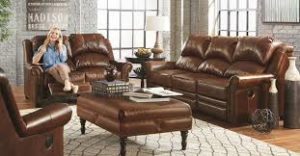 Based in East Tennessee the 3 England brothers set up the business with the goal of providing quality furniture, using the best materials, at the lowest price. England Furniture have become a household name, with their products in homes up and down the country. In this England Furniture Reviews page you will learn about the history of England Furniture, some of their values, the types of products they produce, reviews of their products, and their furniture warranty. For over 50 years England Furniture have been developing and improving their craft. They now boast some of the highest quality around, with the shortest build cycle. By improving their techniques and methods they can now guarantee delivery in 3 weeks or less, which means you won’t be waiting around for your furniture any longer. England Furniture are dedicated to making something special and unique for your home. All of the their products are made by hand within the U.S and custom built for you. The workmanship reflects the ethic of a family run business with strong values. England Furniture are rooted in tradition which is poured into each of their units. England Furniture’s team have managed to create a lasting, truly American, business which has thrived even in tough economic times. With the high levels of construction quality, a good range of products and efficient service It’s not hard to see why. Each of these has been designed specifically to bring value to your home in one way or another and fill the space according to your needs and wants. The backbone of every home has always been the sofa and England Furniture have a wide range available. England Furniture is all crafted in a way where innovation meets tradition. All of their long history and expertise goes into each unit, but they’re combining this with modern techniques and materials. New products, like coil advanced foam cushions, are constantly being developed to give more to the customer. England Furniture run regular tests on products to check the efficiency and quality of their products. This keeps the whole process moving forward and England Furniture keeps improving year on year. If you are looking for other companies that are constantly improving then take a look at Art Van and Elran Furniture. England Furniture aren’t just making adjustments to improve their products, they’re developing state of the art technology that is changing the whole industry. All of this means you can rely on the quality and durability of England Furniture. The sofa is one of the most important pieces of furniture in your home. It brings your living room together, so choosing it needs to be done right. England Furniture have 4 mains collections: Metro Mix, Dorchester Abbey, EZ motion and Leather. Each has distinctly design and style choices to suit a particular home. 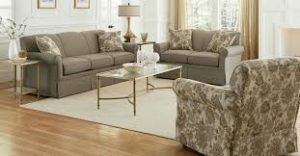 England sofas are available in traditional, modern or contemporary style with features to better suit them to your current home decoration. The shapes and design of each are varied, allowing you to pick a unit that will make the most use of the shape you have available. There are a range of colours available to complement your existing home furnishings. 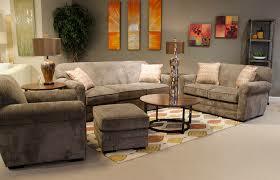 The various style and extremely high quality of these sofas are similar to Pulaski furniture. England Furniture offer a room planner service that let’s you plan out the entire home. They have living room sets of furniture which are perfect if you’re totally rethinking the space. These are designed to give a cozy and comfortable feel in your home while still giving a level of sophistication. There are over 275 different colours available so take your time to find the right one for you. Accent fabrics are specifically to match an existing style in your home. Whether you want the pieces to blend in or stand out there are 268 different options to choose from. Woven with Olefin yarn these are the most resistant fabrics you’ll find. Designed specifically to guard against wear and tear, staining and general use they’re perfect for a busy household with pets and/or small children. These performance fabrics are making sofas last longer and with over 44 styles you’ll be able to find one you love. Livesmart fabrics are moisture repellent, stain resistant and have barrier protection to keep the fabric clean. Designed for heavy duty wear and tear and suitable for busy households the Livesmart Fabrics have 13 different colours available. England Furniture offer a range of different leathers. Designed specifically to be durable, but with a soft touch, leather is a classic option that gives a timeless look to your furniture. Available in almost 50 different styles there are a variety of colours and finishes to complete your look. 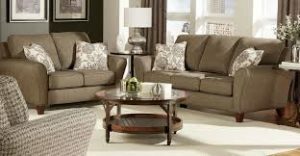 If you are looking for a furniture company that offers all sorts of fabric, then checkout Four Seasons Furniture slipcovers. 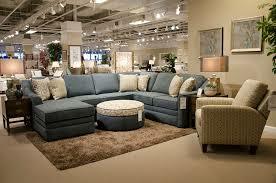 England Furniture are creating sofas that are durable, intelligent and comfortable. The detail taken on each individual element within each piece is impressive and gives you a product you can be sure about. Look at England Furniture. Their upholstery is made in Tennessee. They have a good price point, quality frames, fabrics and warranties. We've worked with them for a few years and they stand by their warranties without difficulties. They were privately owned until Lazy-boy bought them but they remain to be their own manufacturers. The workmanship, is quality stuff. I'm also fond of details like the exposed wooden legs not being just straight pegs like you see with many couches - it adds so much character to the piece, and it has held up great over the years. 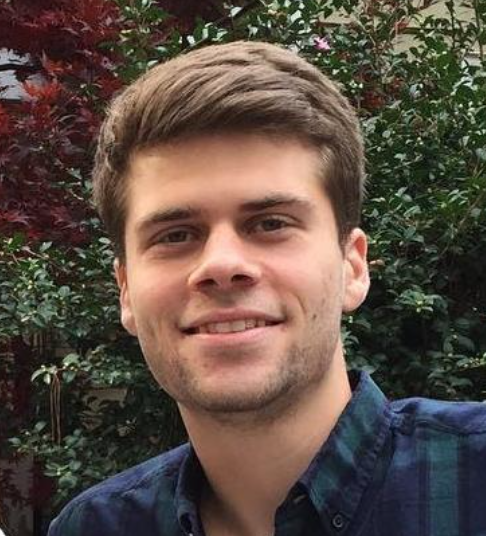 “I purchased a sofa and chair from a furniture store about 18 months ago. I chose the England brand furniture because I was told about their exceptional quality. Unfortunately, the fabric and cushions are wearing pre-maturely. The fabric is tearing and the cushions are loosing their shape.” - Danny Q. As with any company, isolated incidents will happen, but to avoid the frustration of furniture not being up to scratch you’re best off thoroughly checking the units upon delivery. Also make sure you’re aware of what your warranty covers, so If something does happen you can make sure you know where you stand. Overall England Furniture are doing a great job, providing good quality furniture that people are pleased to have in their home. The materials and craftsmanship mean that the units are lasting for a long time, giving the customer some great value. England Furniture back up their products with a warranty that covers against any workmanship or material defects. England Furniture have a lifetime guarantee on all of their frames, 10 years on their foam and cushions, 3 years on springs and mechanisms and 1 year on all upholstery. This is a pretty impressive warranty and shows the faith England Furniture puts in their products. Always check with your retailer before purchase to make sure what’s covered for your specific unit. England Furniture are one of the most reliable manufacturers of home furniture available on the market. Their quality goes beyond customer service but shows a dedication to constantly improving their products. Their employees show a deep understanding of the materials involved and how they can work together to build solid units. England Furniture is one of the more expensive brands on the market, but in the home furniture industry it is often true that you get what you pay for. While you will spend more upfront, your unit should last a lot longer than cheap competitors and save you money in the long run. England Furniture are offering some great value for your home by bringing form and function together in a revolutionary way. If they’re within your budget and you’re looking for new home furniture then I’d recommend finding your local showroom today. Check out other beautiful furniture pieces at our reviews page!